Mérida is the capital and largest city of the Mexican state of the Yucatán as well as the largest city of the Yucatán Peninsula. It is around 22 miles from the Gulf of Mexico on what is becoming known as the Emerald Coast. The city of Merida has the highest percentage of indigenous peoples of any city in Mexico with over 60% of the population having Mayan ancestry. Merida is a very safe city and visitors come to Merida to see its colonial grandeur and explore the surrounding Mayan sites. There is so much to see and do from Merida much of which visitors don’t get to see as it can be difficult to find information in english. This article is all about some of the day trips from Merida that anyone can do. There are so many things to do in Merida it can keep you busy for a while. However, if you want to do a day trip from Merida there are a range of activities from simply going to the beach, exploring Mayan ruins to visiting a Chocolate Museum. There is an international airport on the outskirts of the city called Manuel Crescencio Rejón International Airport and it is about 30 minutes from the heart of the City. 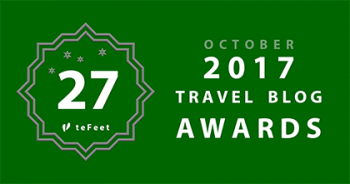 The airport is served by all major airlines most of the year with the majority of visitors flying in during the ‘season’ which runs from late September until April. There are taxis, buses and shuttles available from the airport to take you to your hotel or lodgings. 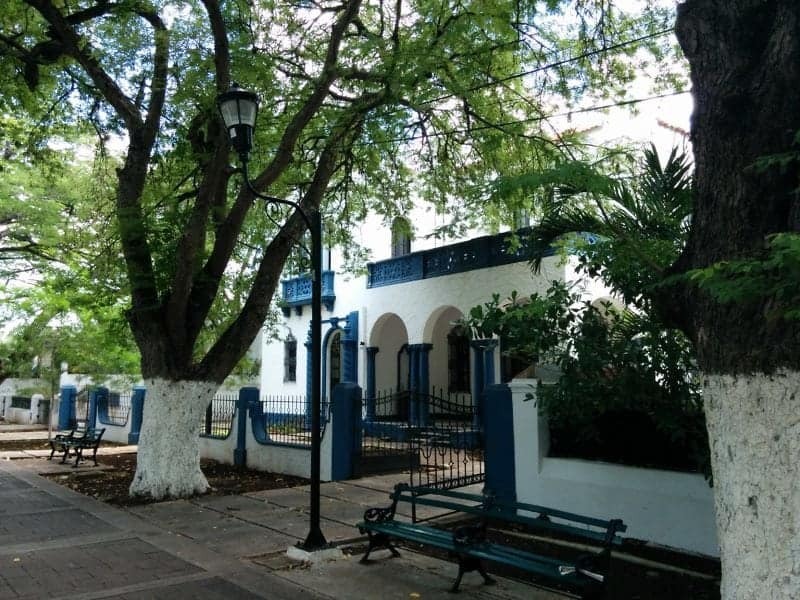 Merida itself is a wonderful town to explore, from the Museo Maya to the folk dancing held in the Paseo every weekend you will find plenty to do in Merida for both adults and families. If you have seen all of Merida’s charms and you are, looking for some day trips beyond Merida there is a wealth of adventures, archaeological sites and beaches to explore on day trips from Merida. 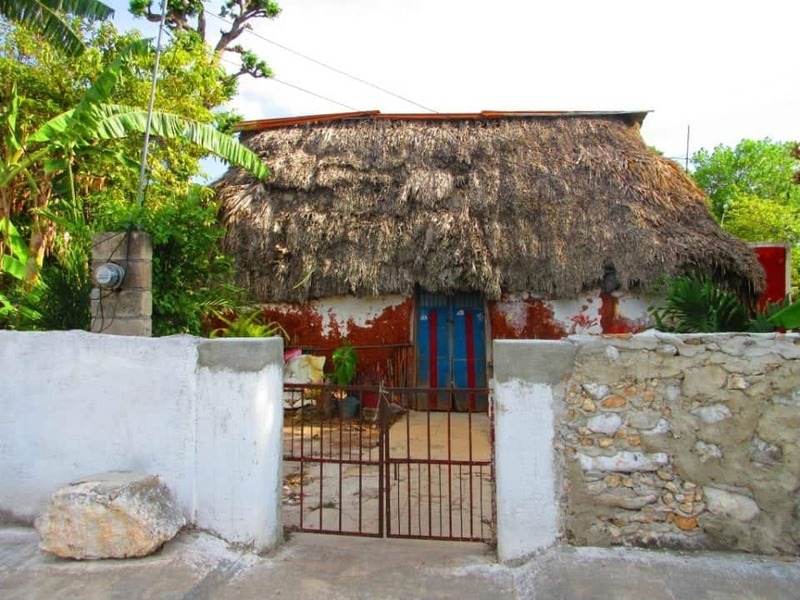 As house sitters, we lived in Chelem, which is around 40 minutes outside Merida, and we had a fantastic time as expats for over a year. After exploring Merida, we set about learning more about our new home and spent many months taking day trips from Merida and treating our visitors to some very special Yucatan sites. 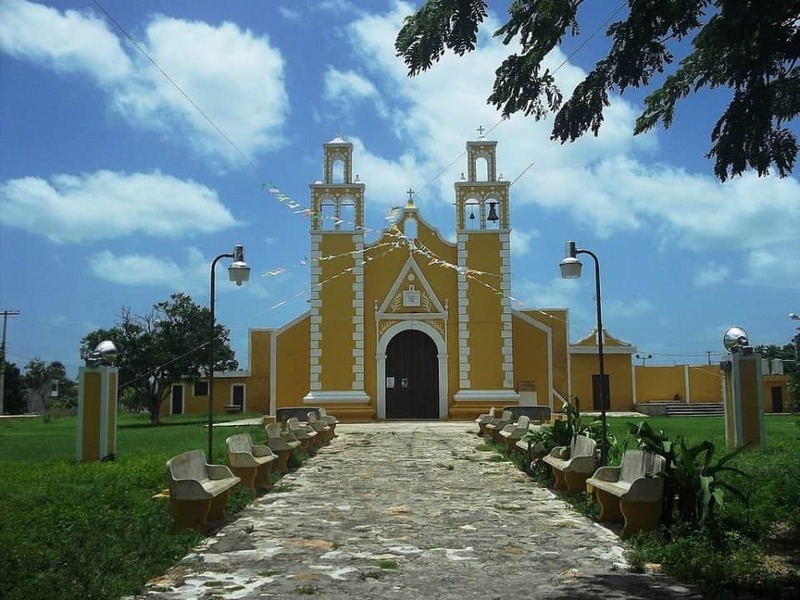 The Yellow Town of Izamal, famous for its golden yellow buildings Izamal is like a step back in time. There are 3 pyramids right in the very centre of the town and one hidden away underneath the convent. The Spanish conquistadors established this heritage building as part of their goal to convert the “natives” to Christianity. Izamal has lots of small lovely little hotels and some great restaurants serving authentic Mayan food and is a spot that shouldn’t be missed when touring the Yucatan Peninsula. The Pueblo Mágico, which is what they call Valladolid, can be found. around 2 hours from Merida Valladolid was founded by Don Francisco de Montejo “El Mozo” in 1543 and acquired the category of a city in 1823. 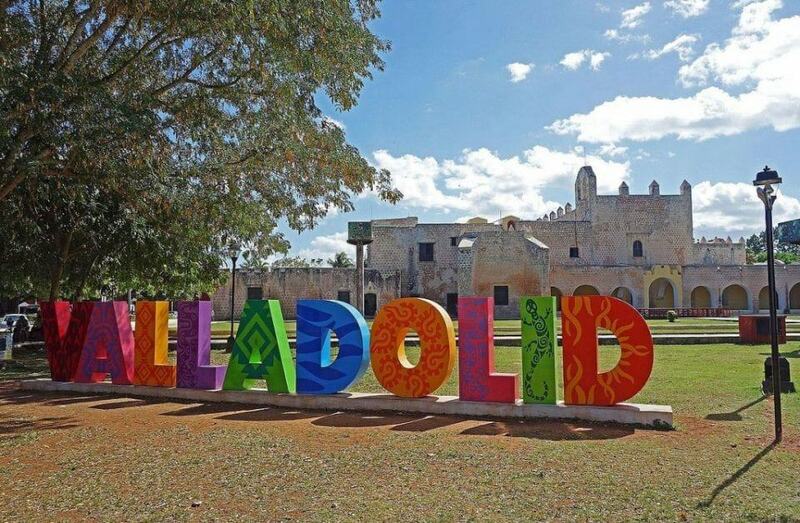 Valladolid is the setting of two of Mexico’s most significant events: the Caste War in 1847 and the “first spark of the Mexican Revolution” in 1910. 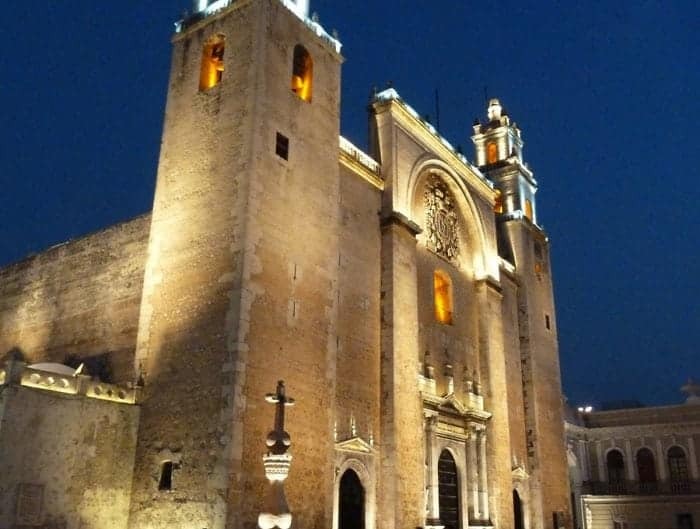 It is truly a magical place from its famous convent to the monuments that have allowed the city to be declared a Zona de Monumentos Valladolid is a beautiful city. There are many places that serve traditional Yucatecan cuisine and some gorgeous haciendas to stay at. Mayapan was actually the capital of the Maya in the Yucatan for a period of about 200 years. The ruins are located about 40 km south of Merida and are easy to get to if you have a car. Mayapan was surrounded by a 9 km long wall. Twelve gates allowed access to the interior of the city. About 12,000 people lived at about 4 square kilometres, protected by the fortification. Overall, more than 4,000 buildings have been found in that area. The tiny town of Acanceh is one of the oldest Maya sites in the Yucatán, and one of the few to retain its original name, which means, “Cry of the Deer”. located around 5 miles/25kms southeast of Merida the population of Acanceh are almost entirely Mayan indigenous people who speak Mayan as well. 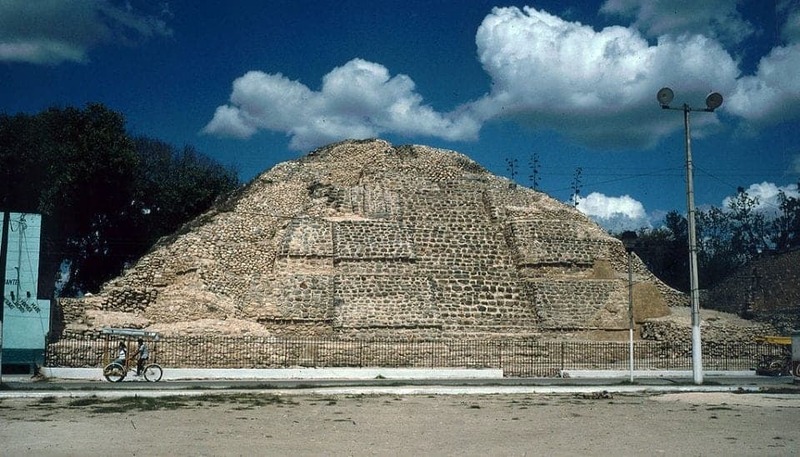 It is believed that the village or area dates back to around 300AD and archaeologists think that it may not have been founded by the Mayan but by an older civilization that is similar to Teotihuacan. Acanceh is a village built around a central pyramid, which can be found directly across the road from the Catholic Cathedral founded by the Spanish. Apparently, there is even a sub-pyramid lying underneath the outer layer of the external pyramid. You can climb the scaffolding to get an up-close look at some of the enormous mask sculptures that survived within this inner pyramid. The other significant structural complex to be seen is the Acropolis. This is a massive platform supporting the remains of numerous buildings, now in a reduced state of preservation. The most significant of these is the Palace of the Stuccos. 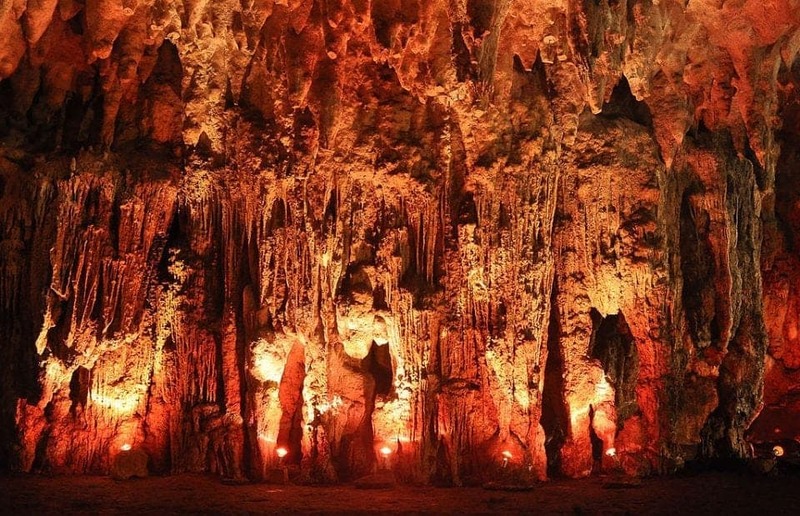 Grutas lol hal or the Loltun caves is located 110 km from Merida and you can get to it along Highway 31. The Loltun caverns are one of the largest known cave sites in the Yucatan. They have around 500 metres of well-lit paths where you can see huge stalactites, stalagmites and some amazing interesting petroglyphs and rupestrian paintings (rock paintings). These mural paintings representing hands, faces, animals, geometric motifs and inscriptions; “haltunes” or artificial containers carved in the rock for gathering natural dripping water (suhuy-ha); as well as many petroglyphs, the most outstanding are the flower motifs, which gave the name to the cavern. There are also 19th-century barricades constructed by rebel Mayas who sheltered in this and other southern Yucatan caves during the so-called “War of Castes”. There are over 3,000 cenotes in Mexico, mostly in the area covered by the Chicxulub crater, the crater that was formed after the meteorite impact that extinguished dinosaurs. Mayans believed that the cenotes were openings to the underworld. It is easy to see why they held that belief. Diving inside the cenotes reveals a whole new world of interconnected subterranean rivers with stalactites hanging in the turquoise waters. Many of the Yucatan cenotes contain remains of offerings to the gods. For instance, at the Sacred Cenote of Chichen Itza (Cenote Sagrado), Mayans paid tribute to the god of rain, Chac. Over fifty bodies of warriors and young virgins were recovered from its waters along with gold jewellery. Nowadays the cenotes represent a major draw for tourism in the region, as divers are keen to explore their depths. Most of the cenotes are free to visit but some of the privately owned ones require an entrance fee. 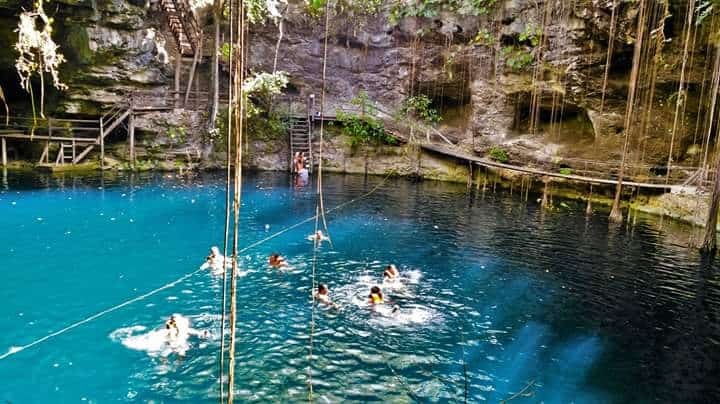 A Canadian couple spent 4 years exploring the Yucatan and found some of the best “off the beaten path” secret swimming holes in the Yucatan. They partnered with a young Mayan Shaman and created YucatanCenote.com literally the best tour guides for cenotes in the area. One of the most popular cenotes is called Yokdzonot and a group or cooperative of women who live in the village of Yokdzonot runs it. The women spent at least 2 years cleaning and making the area visitor friendly and usable. The cenote is on the road to Valladolid but it is well worth the trip. Dzibilchaltún just outside Merida on the highway to Progreso has a large cenote within the grounds and many Meridanos choose to swim here when the temperatures in Merida reach sky-high levels. The cenote called Xlacah is very shallow on one end but plunges to 140 feet deep at the other. 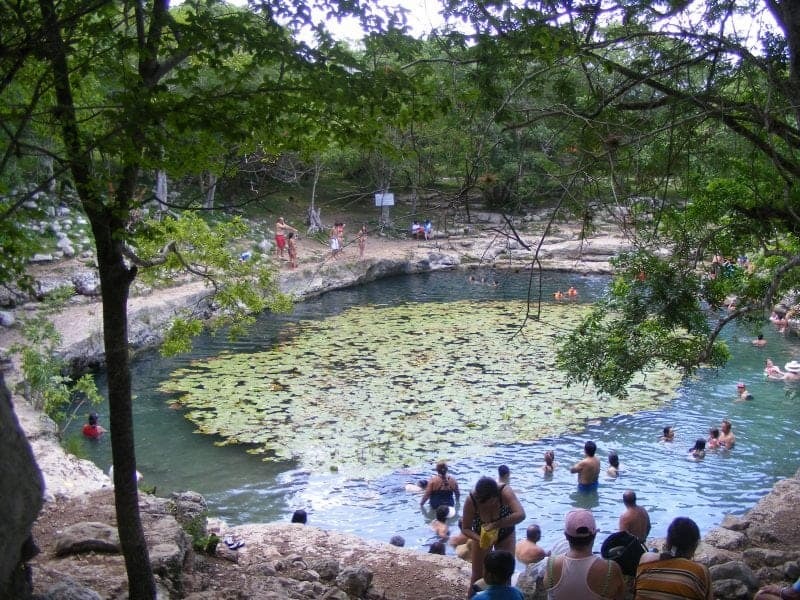 The town of Cuzamá is known for a large number of cenotes found there. Especially unique is a tour that you can do in this area where you visit three cenotes. If you go to the hacienda in Cuzamá, you can hire a guide with a platform buggy pulled by horses through the area to the cenotes. The main cenotes are Chelentun (laying down rock), Chansinic’che (a tree with small ants) and Bolonchoojol (nine drops of water). The Chelentun Cenote has incredibly blue and clear water, with excellent visibility. Stalactite and stalagmite formations add to its unique beauty. 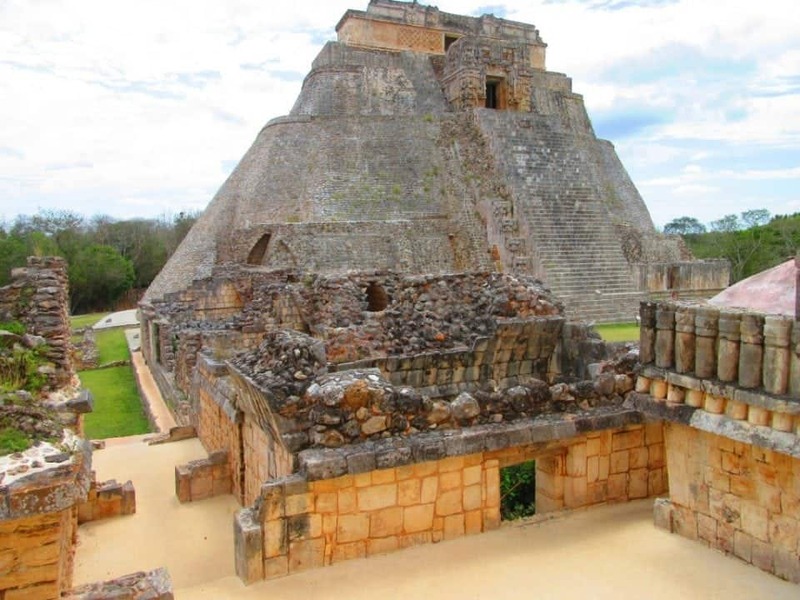 Uxmal is about a 45-minute drive from the City of Merida so when you have taken in some of the attractions in or near the city (like Dzibilchaltún), you can grab a tour or hire a car to visit Uxmal. There are guides available that speak English, Portuguese, Spanish, French, Italian and Dutch they have some great insights to the site and really interesting tales to impart. As you pass through the entry gates, you will see a small slope of a hill with both stairs and a wheelchair ramp. Directly ahead and looking up nearly 115 feet, is the Pyramid of the Magician, immense and awe-inspiring, symbolic of an incredible civilization. Driving to Uxmal (“oosh-mahl”, which is Mayan for “thrice-built”) takes you along the Ruta Puuc Trail. The term Puuc is used for a certain style of decoration on the ruins that lie through this trail. Puuc decoration is recognizable by the elaborate horizontal stonework on the upper levels of the pyramids and buildings. Ek’ Balam is another Yucatecan archaeological site at Temozon it is around 16 miles or 25 kilometres north of Valladolid. The site is noted for the preservation of the plaster on the tomb of Ukit Kan Lek Tok’, a king buried in the side of the largest pyramid. Ek Balam is a Yucatec Maya name that translates to “the black jaguar” or “bright star jaguar.” The settlement covers around 12 square kilometres but only the centre has been excavated and to date, 45 structures on the site have been mapped. Two defence walls surround the site and the interior city has a multitude of smaller walls. Dzibilchaltún (Ts’íibil Cháaltun) – (I borrowed that from Wikipedia); I still don’t know how to pronounce it properly. Dzibilchaltún is the “place where there is writing on the stones” which is the original Mayan name. Dizzy as most of the expats call it has been continuously inhabited for thousands of years and is located only 15 minutes from Merida. There is a cenote here that you can swim in and many Meridanos head here in some of the areas relentless heat to jump in the cool waters. 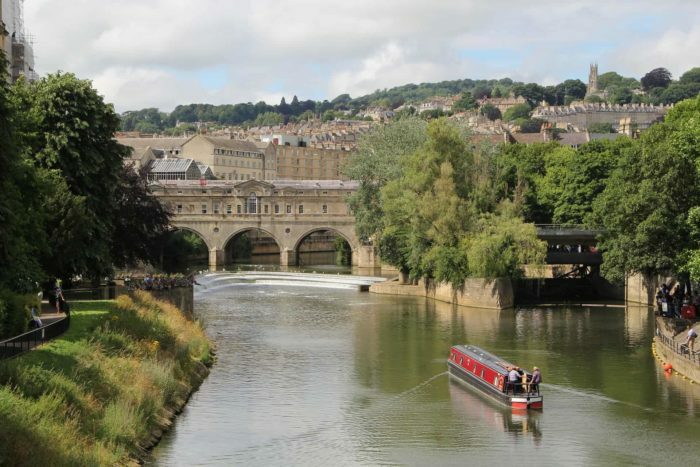 Archaeologists have studied nearly 35 sq km of the city, and the area that has been mapped includes over 8,000 structures, though most cannot be seen due to the growth of trees and vegetation. 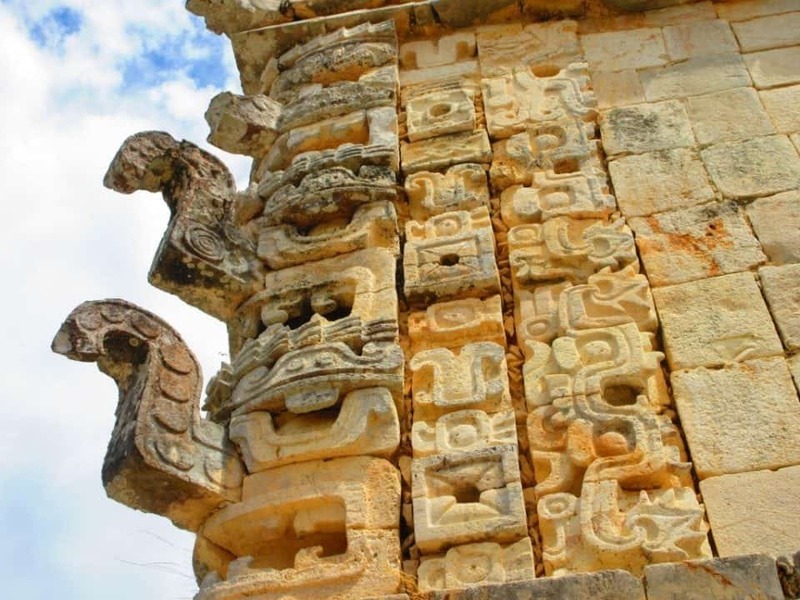 It was once a wealthy port and centre of Mayan coastal trade and had a peak population of about 20,000, although it declined with the rise of Chichen Itza. Restoration still continues here. Ría Lagartos Biosphere Reserve is a UNESCO Biosphere Reserve located at the eastern end of the coastal strip of the Yucatán Peninsula. The area encompasses coastal areas of the Gulf of Mexico and includes important wetlands and a rich diversity of landscapes and ecosystems, such as mangroves, small estuaries, medium semi-evergreen forest, low deciduous forest, coastal dune vegetation, coastal lagoons, marshes (petenes) and savanna that are the main nesting grounds for marsh and seabirds. This area is said to have more flamingoes in the world, they flock here to breed and have baby flamingos. To reach Río Lagartos by bus you need to reach Tizimin first and then swap for either a bus or collectivo. From Merida, you can take a Noreste bus to Tizimin. 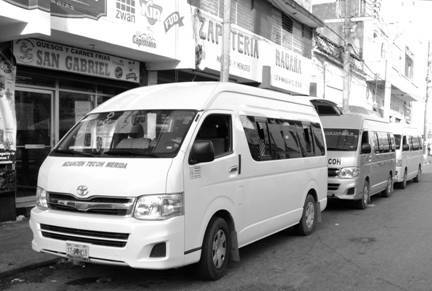 There are several bus stations in Merida so make sure you head to the Noreste Bus Station. The journey from Merida to Tizimin takes about 2 hours and costs 170 pesos. From Tizimin to Río Lagartos you can take either a bus or a collectivo. Both take an hour and cost 45 pesos. Collectivos are more frequent than buses but you might have to wait for it to fill up. There are boat tours available at the Ria Lagartos, which is the best way to see the biosphere. At the right time of year, you will see literally tens of thousands of flamingos. 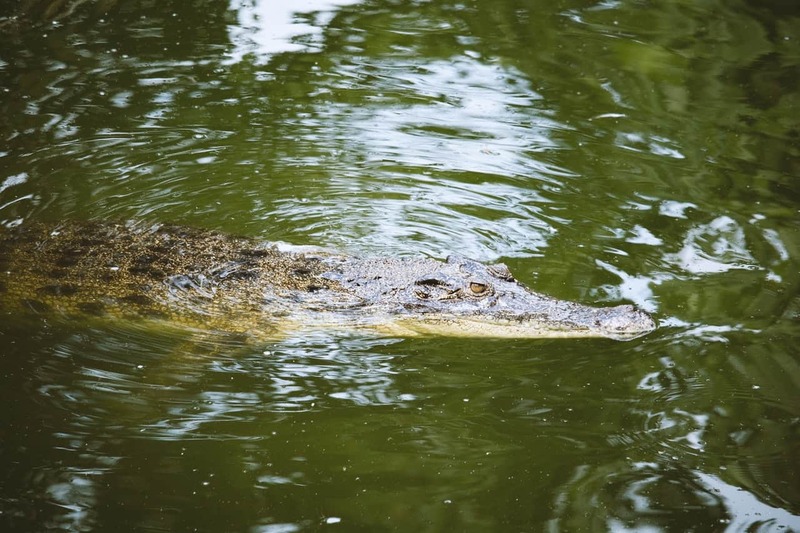 Just down the road from the main town of Rio Lagartos, you will find the Itzamkanac Granja de Crocodrilos, a crocodile farm. The farm is a working business run by a collective of local farmers and the crocs are raised for their meat. Visitors can tour once a day at feeding time. 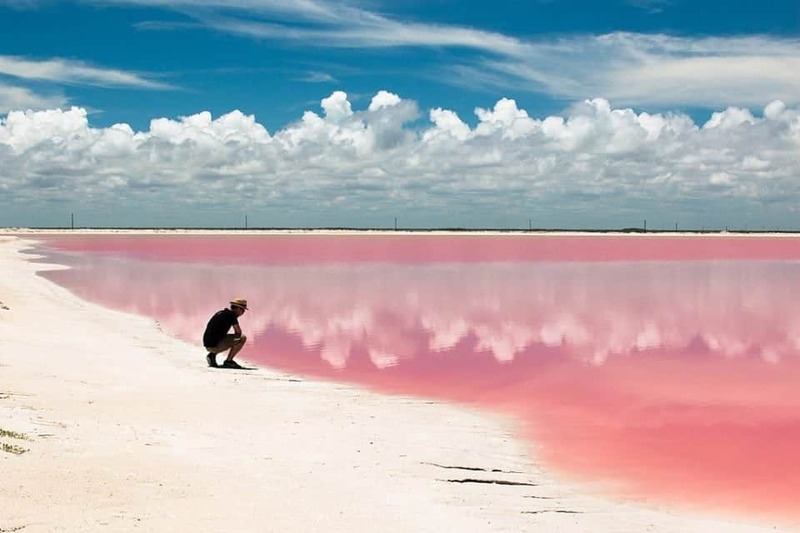 About a 30 minute, drive from Río Lagartos is Las Coloradas or the Pink Lakes of Mexico. These are man-made salt lakes built by the local salt factory. Microscopic algae cause the pink colour, which is commonly found in sea salt fields. As the water evaporates and the salinity levels get higher, the algae give off a red pigment, turning the lakes bright pink. These are truly instagrammable lakes but be warned although you can take photos you are not supposed to be there so don’t go beyond the gates marked “no entry”. 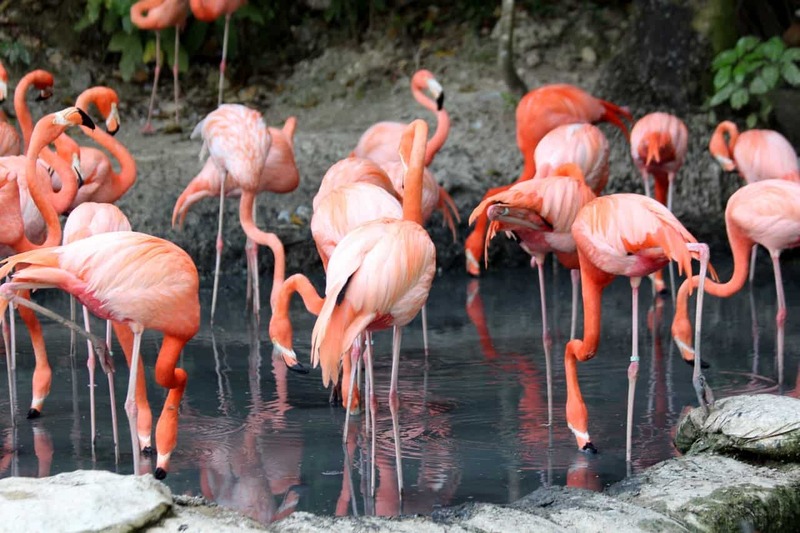 Celestun is where everyone flocks to see the flamingoes. A tour into the Mangroves is a must so you can see the incredible sight of flamingoes in the wild. 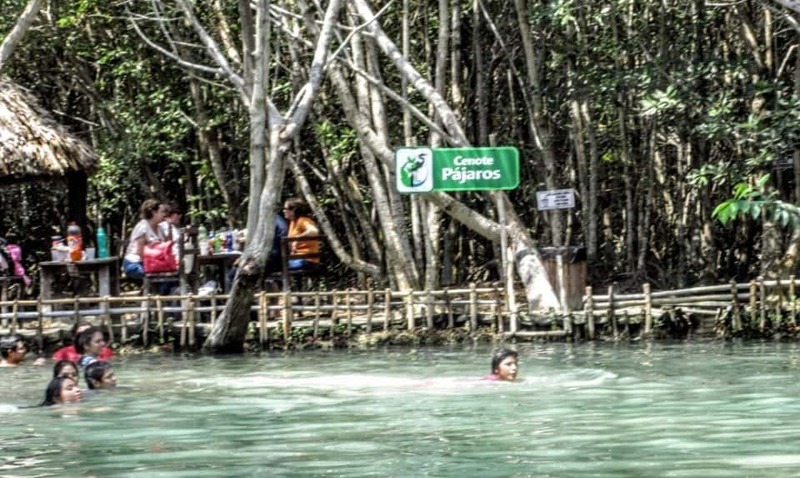 The tour also includes a trip into the mangroves where you can swim in the Baldiosera Cenote, which is a small pool of fresh water right in the ria. From Merida, it’s about a 90-minute car ride westbound on Highway 281. The docks for the boat tour are well signposted about 1.5 km before you reach Celestun’s beaches. 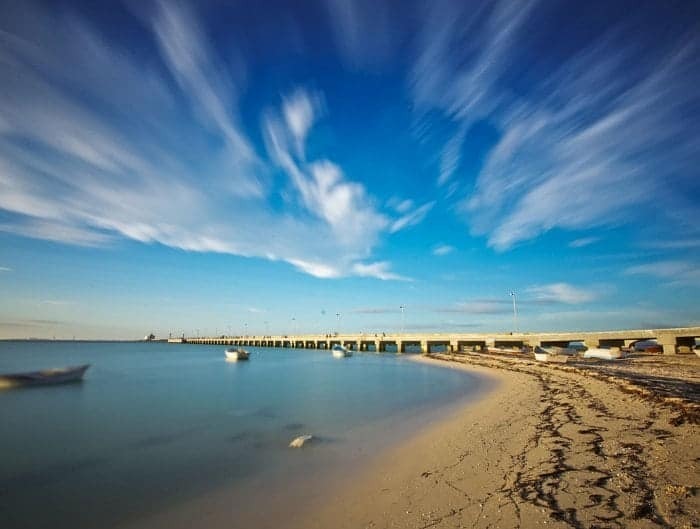 Celestun can be reached by public bus from the Noreste bus station on Calle 50 at 67. The bus departs hourly from 5:00 am to 8:00 pm. The cost is $47 pesos each way. If visiting only for the boat tour at the Reserva de la Biosfera Ría Celestun, ask the bus driver if he can drop you off there. Otherwise, you’ll be dropped off near the beach and will need to walk back the 1.5 km to the reserve. To take a boat tour of the “La Ria” you have two choices, you can grab a boat from the Tourist Centre at a cost of around $25 US per person, or from the beach where it is slightly cheaper but a shorter trip. 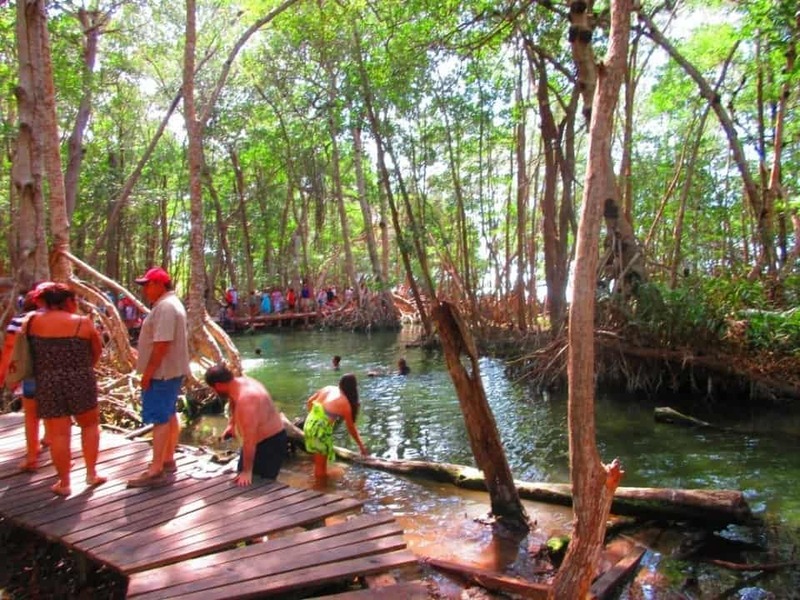 La Ria de Progreso is another eco-tourism site coordinated by a group or collective of the fisherman in the area. 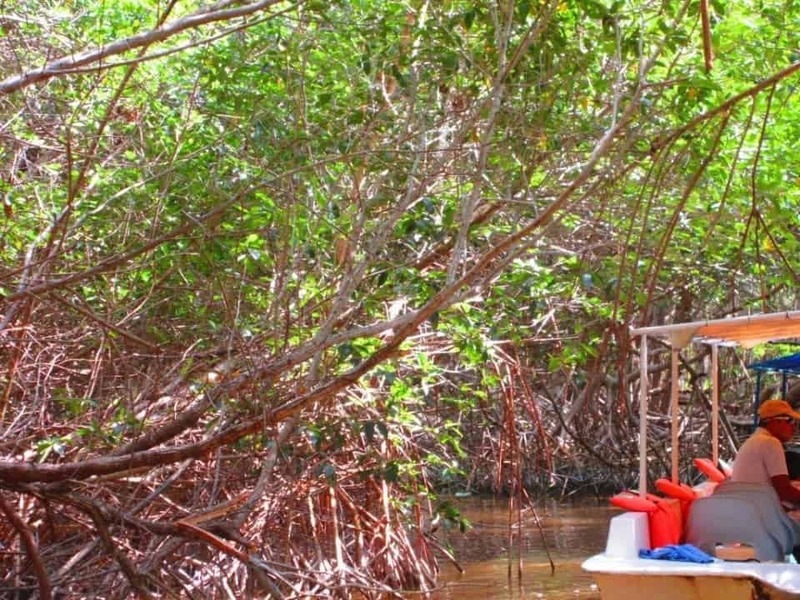 The Progreso Ria is 7 km of mangroves swamps along the Ria, which you can see from the water with kayak and boat tours, you can also rent paddleboards. There are guided walks through the mangroves, you can rent paddleboards or even practice your fishing here. Located just on the road to Chelem you can’t miss the site, as you will see the kayaks sitting on the edge of the parking lot. El Corchito Reserva is located 36 kilometres from Merida as you come into Progreso from Merida you turn right to go to Chicxulub and follow the highway until you see the signs to El Cochito, which is a few miles down the road. A sort of hidden secret El Corchito was developed by local people as a means to encourage not only the preservation of the reserve but to supply an income to local fisherman who need a source of income when it’s not possible to fish. To get to El Chorchito you can take the Progreso bus from Merida where you can grab a taxi to the Reserve or you can try a local collectivo. The cost of entry is around 35 pesos per person. El Corchito has 3 cenotes and two springs, the first cenote is the “Ferns cenote” which has crystal clear water and is very shallow. The second cenote is the “Cenote Venado” located on the left side; it is spacious, clean and a little deeper. To reach this cenote you have to go over the wooden bridge. While you are on that side of the island, you can walk down a long path covered in trees. This path will take you not only on a tour of the mangroves where you may discover the wildlife on the island but it will also lead you to the third cenote, the “Cenote Birds”. This is the largest cenote of the three on El Corchito with an emerald green colour. This cenote is very inviting to dive into deep waters and go for a refreshing swim. There are tables and chairs to have a picnic on as well as a few places to buy some soft drinks or enjoy some Yucatan raspados – a sort of shaved ice slushie. You will see many coatimundis here and they are extremely friendly particularly when you have food for them. 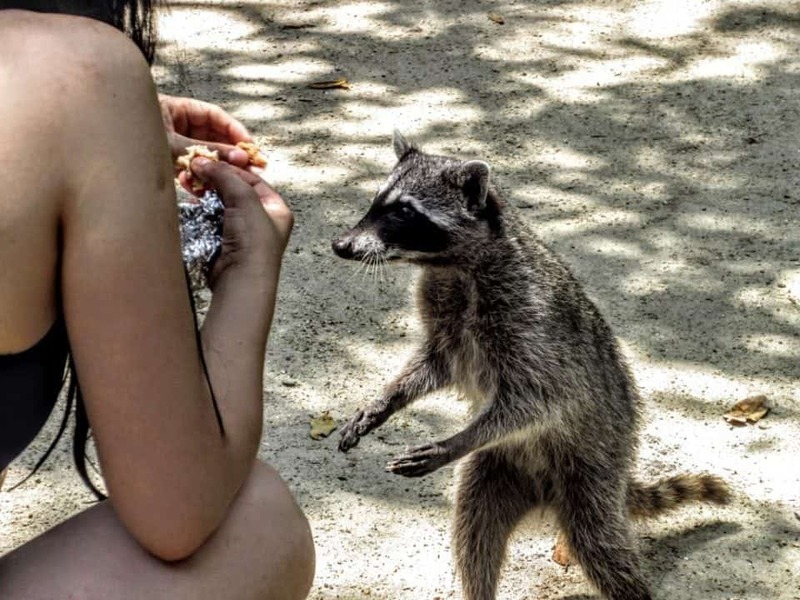 You will also see lots of marsh birds, iguanas, snakes, termite mounds and one of the cenotes has hundreds of the tiny fish that eat dead skin, so if you are in need of a pedicure you can get the latest trend here for almost free. Within an hours driving distance of the city, you will find some of the best beaches near Merida. The beaches that run from Telchac to Chuburna run down the coastal areas of the Gulf of Mexico. The wealthiest Meridanos tend to go to the Telchac beach area where they have beautiful summer homes. The beaches at Telchac are beautiful, white, and sandy and with calm Gulf of Mexico waters. There are not many services in this area though so beach bars and restaurants are very limited. As you move further west along the peninsula, you come to Progreso and the fishing villages of Chicxulub, Progreso, Chelem, and Chuburna. 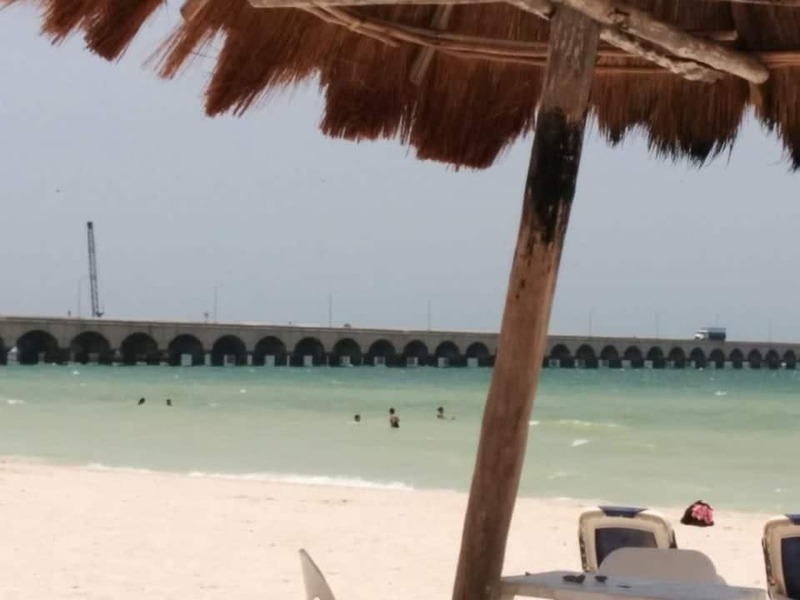 Progreso has an excellent beach and Malecon that has been upgraded since the cruise ships started coming into the 3-mile long pier. The area is great for swimming, hanging out at the beach bars and enjoying some sun and some Mexican food. Many of the beach bars have tables with umbrellas on the beach and they will serve you anything you want from drinks to tacos. The tiny fishing village of Chelem and its neighbour Chuburna which is a few miles down the coast from Progreso has some amazing beaches and takes in a huge influx of Mexican families during the summer months of July and August as well as Semana Santa when all Mexican families congregate at the beach. Chuburna runs to the edge of the small strip of land that has the Ria on one side and the Gulf on the other. A “ria” is defined as “a long narrow inlet formed by the partial submergence of a river valley”, basically another word for “estuary”. Where the land ends, the Ria empties into the Gulf of Mexico. The beach here after Chuburna is a massive pink sand beach which is virtually empty most of the year. There are exceptions such as Semana Santa when the Spanish flock into camp on the beach. You can camp here and take your car on the beach. 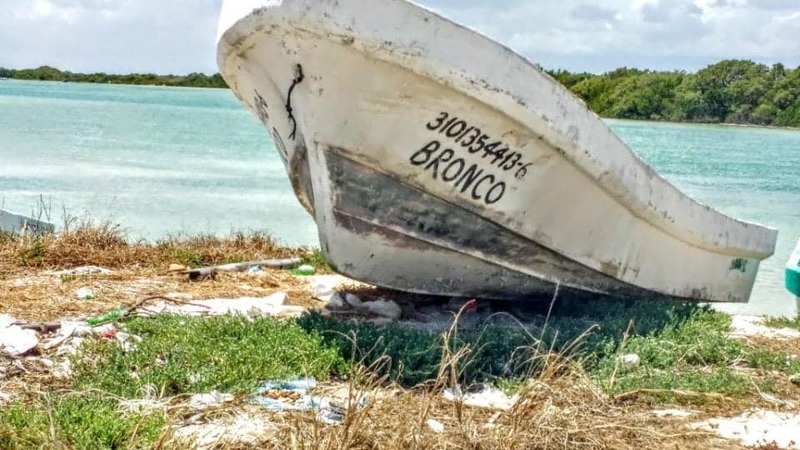 It’s a great place to wander the inlet to the Gulf where you will see some huge iguanas and other wildlife along with pelicans, and flamingos. If you take a left into the Fishing port just before the beach you will see, the fishermen haul in their catches or see crowds of pelicans waiting for scraps of fish. Kiting as an adventure activity has been very popular along the beaches of Chelem and Chuburna. When the wind is running southeast, you will see the kiters out at the ria from Chelem to Chuburna. Yuckite works with the Chelem and Chuburna fishing coops to ensure that they help maintain the areas great conditions for kiteboarding and tourist. 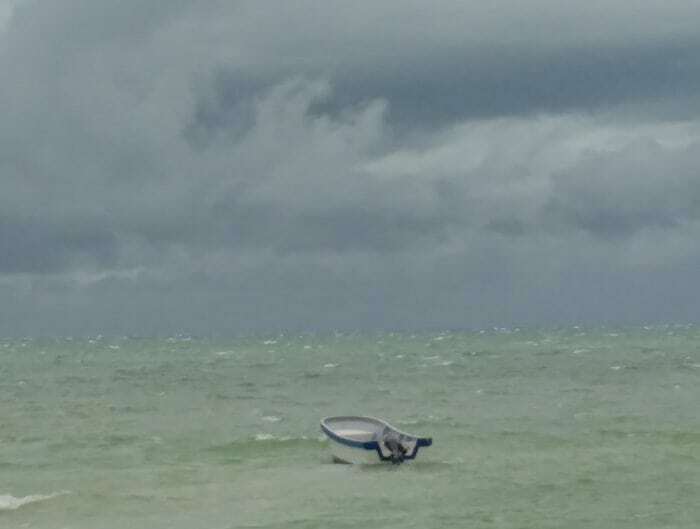 The fishing boats will often work with them to take kiters out onto the ria where the water is flat and shallow enough for beginner kiters as well as riding the wind on the edge of the ria and the ocean. 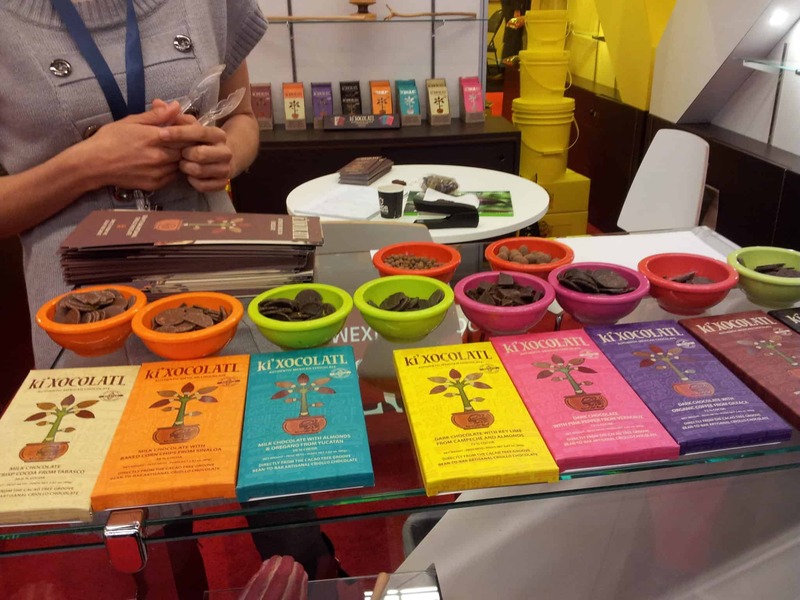 Across from the Santa Lucia Parque, there are several speciality shops and restaurants including ki’Xocolatl a sustainable chocolate business that began several years ago by two Belgian chocolatiers the Mathieu Brothers. Chocolate is sacred to the Mayans and the company maintains a fair trade business that has grown to include a Chocolate Museum. They grow their own cacao trees, their own spices and make their superb chocolate, which is for sale in the shop. The Chicxulub crater is believed to be the area where a massive impact took place over 66 million years ago and caused a mass extinction on the planet that wiped out over 75% of the worlds plant and animal species. Whilst currently there is not much that can be seen there is a small monument in the square and the Museum of Science of the Chicxulub Crater, a research and dissemination complex that is being built is expected to be ready between June and September this year (2018). Fishing in the Yucatan. On the Ria at Progreso, fishing for Tarpon, Snook and Speckled Sea Trout is a fantastic day out on the Ria. Yucatansnook has been fishing this area for several years and Randy knows all the best places to catch some fine specimens. If you want to go further afield head to the Caribbean side of the Yucatan. Now I’m not a big fan of the real touristy places like Playa and Cancun in particular, but the islands of the coast are pretty spectacular and in particular, Holbox is a place that most folks that live in the Yucatan love. 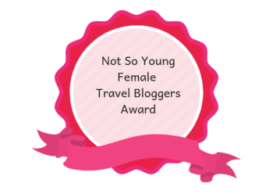 Christian of the Unusual Traveler has a great article on why he loves Isla Holbox. So there you have it a smidgen of what’s available to see from Merida. Do you have a favourite place to visit outside Merida that I missed? No doubt Merida is one of the most beautiful cities in Mexico, I have been there more than once and I have always discovered new things, hopefully many people can know this type of places that are very representative of the time of the colony in Mexico. Loved our time in Merida but we never made it to Ría Lagartos. your pictures make us want to go back! It’s quite amazing seeing all those flamingos that close up – not to mention kayaking through the mangroves kind of eerie and cool at the same time.